We understand that sometimes your travel plans change. We do not charge a change or cancel fee. 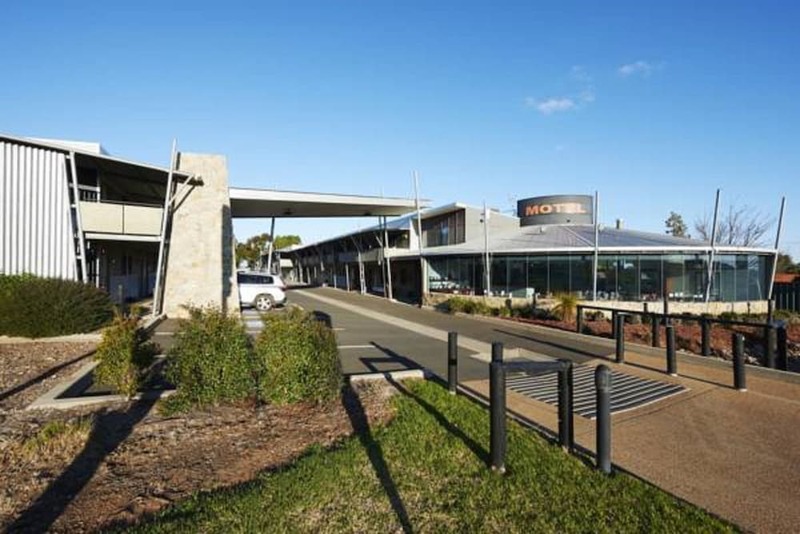 However, this property (Station Motel Parkes) imposes the following penalty to its customers that we are required to pass on: Cancellations or changes made after 6:00 PM ((GMT+10:00)) on Apr 19, 2019 are subject to a 1 Night Room & Tax penalty. If you fail to check-in for this reservation, or if you cancel or change this reservation after check-in, you may incur penalty charges at the discretion of the property of up to 100% of the booking value. When you stay at Station Motel Parkes in Parkes, you'll be near the airport, just steps from Henry Parkes Centre and 12 minutes by foot from Bushmans Hill Reserve. This 4-star motel is 1.2 mi (2 km) from Parkes Showgrounds and 1.6 mi (2.5 km) from Cooke Park. Make yourself at home in one of the 38 air-conditioned rooms featuring refrigerators and microwaves. Rooms have private balconies or patios. Cable programming and DVD players are provided for your entertainment, while complimentary wireless Internet access keeps you connected. Private bathrooms with showers feature complimentary toiletries and hair dryers. Enjoy international cuisine at Station Restaurant, a restaurant which features a bar and a garden view. You can also stay in and take advantage of the room service (during limited hours). Continental breakfasts are available for a fee.